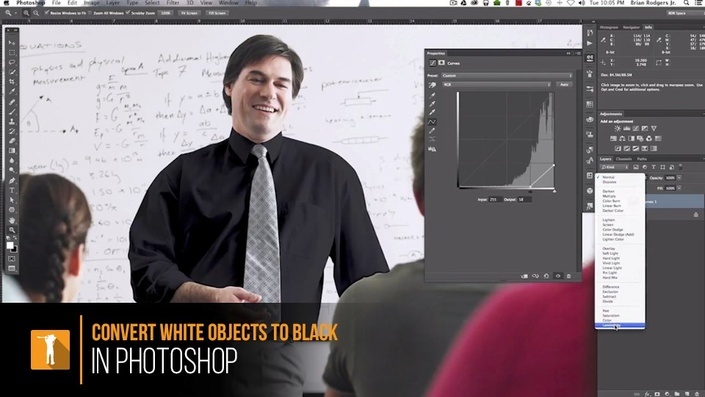 In this tutorial, Brian will show you a technique that allows you to naturally convert a white object to a black object right inside of Photoshop. In this example, we will use an image of a teacher who is wearing a white shirt and convert his shirt to black while still retaining detail. This is not an obvious conversion method, you can't simply paint the a white object black and make it look believable. However, by harnessing the power of the Curves Adjustment Layer you can make this conversion with ease. Note: This is an older tutorial that has been re-formatted and re-branded for this new community that I'm forming. Stay tuned for new free and premium tutorials coming soon!